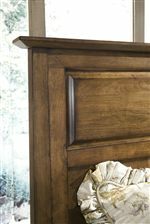 You'll have the perfect bedside companion with this honest and handsome nightstand in your bedroom decor. 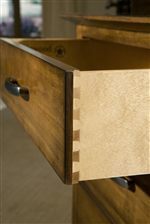 The piece carries a warm brown finish and features square tapered feet. 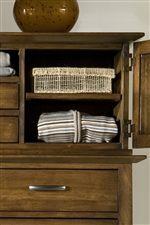 In addition, the drawer and adjustable shelf are excellent for keeping books, magazines, pens, alarm clocks and watches. There will be a lot to like with this night stand in your home. The Baisley Park Nightstand w/ Drawer by Linwood Furniture at AHFA in the area. Product availability may vary. Contact us for the most current availability on this product.